Turbo cleaning power in the palm of your hand. TheTurbo Hand Tool makes it easy to clean up stubborn messes with a air-propelled turbine blade. The tool attaches to the Vac N Blo Portable Vacuum or the wall-mounted Vac N Blo Sr. The Turbo Hand Tool gives your Vac N Blo a big boost in cleaning power. The internal turbine blade propels dirt and debris into the vacuum and cleans at a much faster rate than an ordinary attachment. The tool simulates going over the same spot multiple times, yet you only need a couple of passes to get carpets completely clean. The Turbo Hand Tool is perfect for spot cleaning inside your vehicle, boat, and RV. The incredible turbine action removes dirt, sand, and mud with ease compared to repeatedly going over and over the same spot. To get carpets really clean, vacuum in multiple directions over trouble spots. The movement of the carpetï¿½s fibers will help release any stubborn dirt, crumbs, or sand. Use Wolfgang Spot Eliminator on any stains or spills. Between these two products, your carpets will clean up beautifully. Remember, the Turbo Hand Tool works with the Vac N Blo or Vac N Blo Sr. 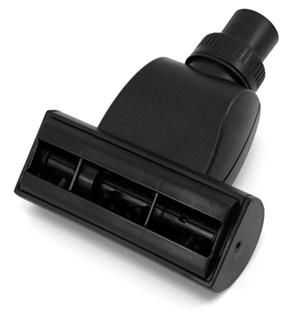 If youï¿½re meticulous about keeping your vehicleï¿½s carpet clean, outfit your Vac N Blo with the Metro Turbo Hand Tool. This thing spools up and sounds like it has a turbo in it. Mine works like a charm and cleans the carpets better then any standard plastic attachment. The brushes really help agitate the carpet and get all the dirt up. Very happy with my purchase and would by another with out hesitation. I purchased my Metro Vac n Blo and this was a free gift that was a bonus when I ordered it. I was really looking forward to this tool because I use something similar on my home vacuum. The tool was in great condition, it just doesn't operate properly. There is supposed to be a spinning brush inside, but instead of spinning, it kind of lags a bit and eventually stops. It is brand new, so it is nothing that is caught in there. The one on my home vac is very powerful, and the best attachment I have ever used, and I was really hoping I could say the same about this one. At least I didn't have to purchase the tool.